Tamara litigates commercial cases, and represents insurers and insureds in complex insurance coverage and bad faith litigation. 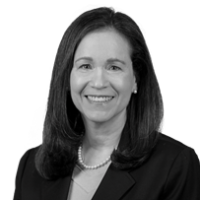 In addition, Tamara counsels insurers and insureds on emerging insurance issues and exposures, such as privacy and cyber risks. She drafts and negotiates policy forms and endorsements, both standard and manuscript. Tamara’s work for insurers includes advising on coverage, claims-handling and regulatory issues. She has successfully represented insurers in many declaratory judgment and bad faith/extra-contractual liability suits. She concentrates in professional liability, commercial liability, and directors and officers (D&O) insurance, employment practices (EPL) and errors and omissions (E&O) coverage. Litigated environmental contamination and “sick building” syndrome cases. Secured coverage for a public utility for contamination at coal gasification sites, and for Urea-formaldehyde foamed-in-place insulation (UFFI) claims. Secured coverage for a substantial civil rights judgment against a municipality after its insurers disclaimed coverage. Defeated two class action suits challenging a leading health insurer’s revisions to its prescription drug plans. Successfully defended insurers in numerous bad faith suits alleging bad faith claims handling and wrongful failure to settle underlying suits resulting in multi-million dollar excess judgments. Obtained summary judgment rejecting a claim that the insurer owed prejudgment interest in addition to the policy limits. Successfully defended insurers in suits seeking coverage for sexual misconduct.